WASHINGTON, Dec. 14, 2015 — The chairman of the Joint Chiefs of Staff discussed his short-term priority – defeating the Islamic State of Iraq and the Levant – and provided insight into his long-term goals during a talk at the Center for a New American Security here today. 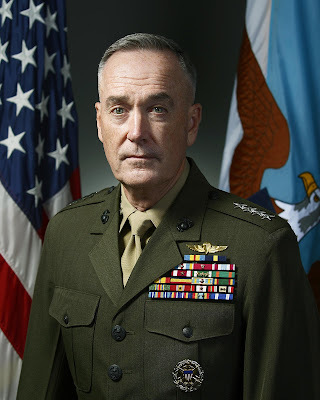 Marine Corps Gen. Joseph F. Dunford Jr. spoke about the security environment and its implications on the force of the future and also spoke about joint force organization. Current trends indicate any conflict in the future will be transregional, multidomain and multifunctional, the chairman said. An example of the changes these technologies have wrought is North Korea, Dunford said, noting that in the past, military planners believed any conflict would be confined to the Korean Peninsula. “But as North Korea developed ballistic missile technology, that obviously affected other regional actors, such as Japan,” he said. Today, with ICBMs, cyber, information operations and more, “it’s pretty hard to see how even a conflict on the peninsula would be anything but transregional, multidomain and multifunctional,” the chairman said. Current planning, organizational constructs and command and control set-ups “is not optimized for that fight,” he added. The challenges of the world mean they won’t get a rest soon, Dunford said. The general said he is looking at new ways to measure joint readiness, and that people should expect a new way of looking at the concept after the first of the year. The fight against violent extremism is a transregional conflict, the chairman said. Still, he added, the Defense Department’s portion of the nine lines of effort are focused on destroying core ISIL in Syria and Iraq, and the U.S. military does this by striking ISIL leaders and fighters. “The second critical element is to develop and support effective partners on the ground to seize and secure ISIL-held terrain,” he said. Syria, he said, is the bigger challenge, because there is no partner on the ground. The Iraqi security forces and Kurdish peshmerga provide allies to take and control terrain inside Iraq. Dunford did say he understands how much more needs to be done, but that he is encouraged by operations against ISIL. However, the chairman said, the threat from extremists, while pressing, is not the only security challenge. The capabilities and behaviors of four state actors– Russia, China, Iran and North Korea – must inform U.S. contingency plans, he said. Dunford then turned to China, saying the emphasis is to cooperate with the rising giant. “We also – and we get paid to do that – watch closely the developments in their military capabilities and their behavior in the South China Sea,” he said. Iran and North Korea are exporters of instability who continue to look for new ways to threaten neighbors, the chairman said. All of these challenges have implications for the future joint force, he said, and the first is foundational. The second implication is to define how to use the military instrument of power in the “gray zone” of cyberspace, he said. On cyber, Dunford called for more offensive cyber capabilities and cyber deterrence.